After some investigation it turned out that it is a shortcoming our the decompiler: the value propagation (or constant folding) can not handle the situation when an unusual part of a value is used in another expression. 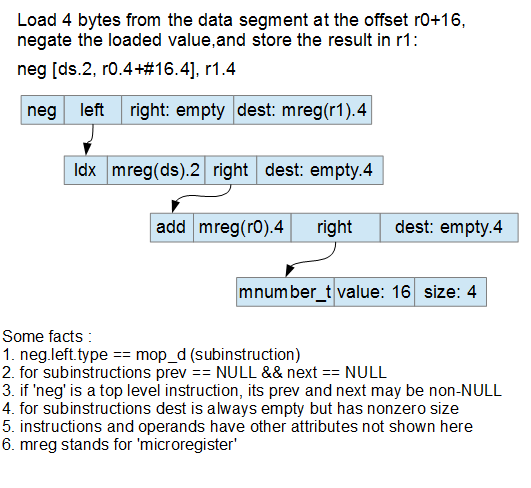 For example, if an instruction defines a four byte value, the second byte of the value can not be propagated to other expressions. More standard cases, like the low or high two bytes, or even just one byte, are handled well. It seems that compilers never leave such constants unpropagated, this is why we did not encounter this case before. The resulting xor will then automatically get optimized by the decompiler. However, to speed up things (to avoid another loop of optimization rules), we will call the optimize_flat() function ourselves. Please note that we do not rely on the instruction opcode: the xor opcode can be replaced by any other binary operation, our logic will still work correctly. Also we do not rely on the operand sizes (well, to speed up things we do not handle operands wider that 1 byte because they are handled fine by the decompiler). Also we can handle not only the second byte, but any byte of the variable. The final version of the plugin can be downloaded here. It is fully automatic, you just need to drop it into the plugins/ directory. P.S. Naturally, we will improve the decompiler to handle this case. The next version will include this improvement. Sorry for the long silence since IDA v6.95, we all were incredibly busy with the transition to the 64-bit version. We are happy to say now that we are close to the finish line and will announce the beta test soon. Transition to x64 itself was not that hard. 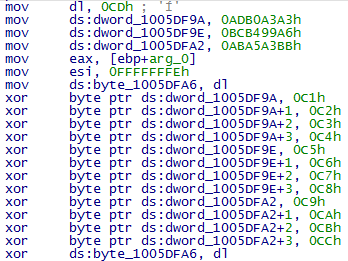 We have been compiling IDA in x64 mode since many years, so making it actually work was a piece of cake. It was much more time consuming to clean up the API: make it more logical, easier to use, and even remove some obsolete stuff that we have been carrying around since ages. 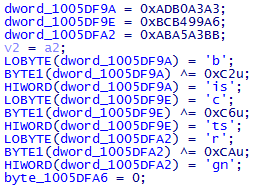 Switching to the x64 is the unique opportunity for this cleanup because there are no existing x64 plugins yet and we won’t be breaking any working plugins. We hope that you will like the new API much more. Just to give you an idea: we made more than 8000 commits to our source code repository and just the commit descriptions are more than 1MB. We reached 1.6M lines of source code without taking into account any third party or auto-generated files. I haven’t counted how many lines had changed since v6.95, but it can easily be that every second line got modified during the transition. In short, it was a huge undertaking. While it was huge, we did not manage to make everything ideal (is it possible at all?…) We will continue to work on the API in the future. Naturally, we were also busy fixing our past bugs (309 bugs since the public release of v6.95, to be exact; fortunately almost all of them reveal themselves in very specific circumstances). We were also working on new features. Just to give you an idea of the new stuff, see very short descriptions below. First of all, IDA fully switched to UTF-8. It will be possible to use Unicode strings everywhere, and specify any specific encoding for a string in the input file. The databases will be kept in UTF-8 as well, which will allow us to get rid of inconsistencies between Windows and Unix versions of IDA. In fact it is deeper that a simple support of UTF-8, we have a new system for international character support but it deserves a separate blog entry. We will talk about it in more detail after the release. The iOS debugger improves support for debugging dylibs from dyld_shared_cache and adds support for source code level debugging. 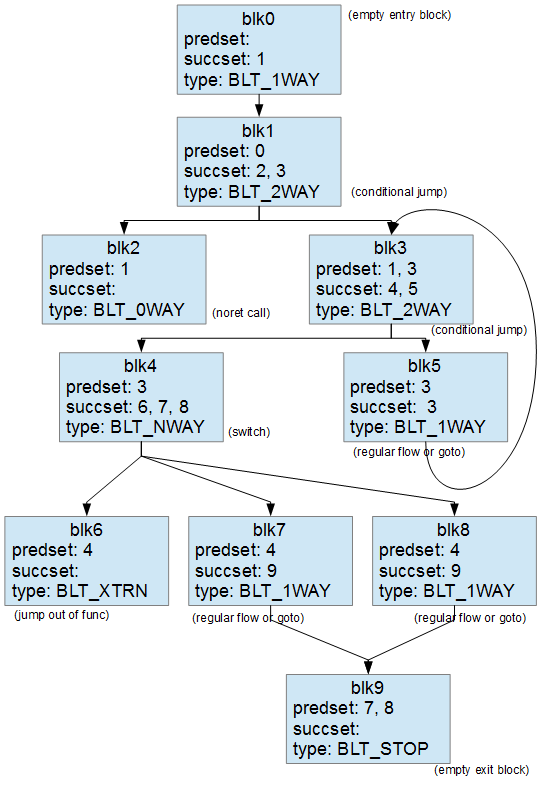 We have tons of other improvements: better GDBServer support, updated FLAIR signatures, improved decompiler heuristics, updated built-in functions for IDAPython and IDC, new switch table patterns, etc. Stay tuned, we will announce the beta test soon! 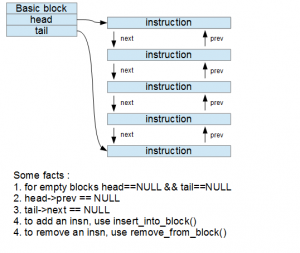 In this article we are going to discuss a mechanism that can be used to interact with IDA through external applications. 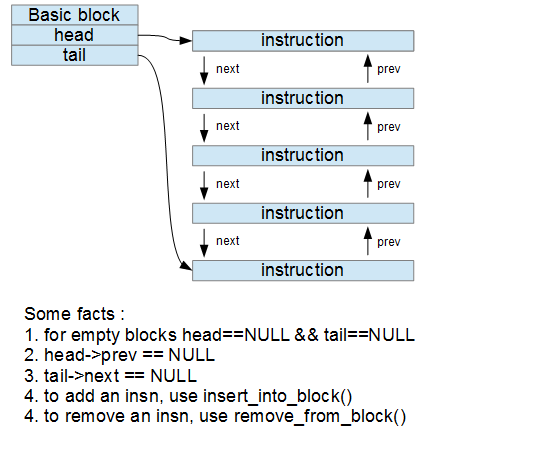 The reason this technique was developed was to provide a convenient way for utility applications to query information from IDA databases, and automate its interface. Over the years, several methods have been tried such as pipes, and sockets. In the end, the easiest Inter-Process Communication (IPC) technique I have found is the Windows specific SendMessage API along with the WM_COPYDATA message. This technique was chosen for its simplicity, reliability, and its inherently synchronous nature. 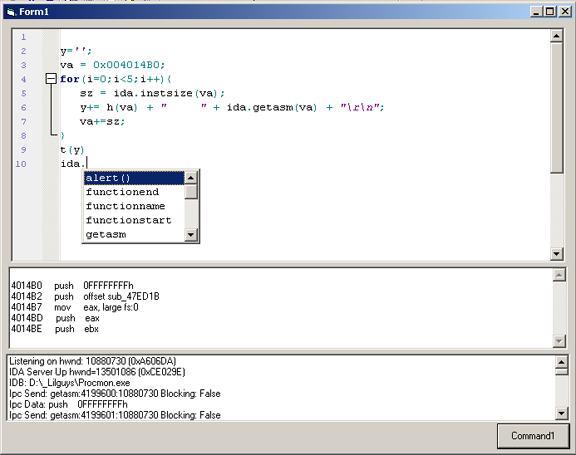 With this technique, the IDA server plugin creates a window and watches for command messages to come in. There are several advantages to this technique. Traditional plugin development usually requires compiling your code and launching the plugin from the host application. Debugging often entails wading through runtime debug logs, inferring problems through observed behavior, and chasing crashs in a debugger. This technique allows you to debug your executable in the development IDE as normal, harnessing all of its powerful capabilities such as edit and continue, call stack viewing, variable watches, breakpoints etc. Complex projects can be run directly while you iron out interface behaviors and are not dependant upon the host. Datasets can even be loaded from test files so that many routines can be debugged independently of IDA. With a project such as this, coding for the IDE behaviors is a major part of the development task. To develop such an application strictly as a plugin would be a daunting endeavor. Developing it as a standalone application was a great advantage where it could be run directly from the Visual Studio IDE without any intermediate steps. One other advantage to this technique is that it opens up plugin development to include higher level languages that do not have native support for the IDA API*. 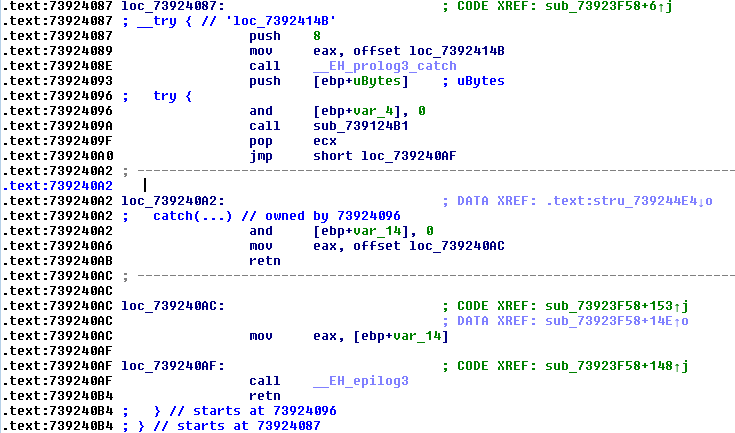 Languages such as C#, Delphi, and VB6 can easily interact with IDA through this mechanism. These languages have excellent rapid GUI development capabilities and a wealth of complex components already available to them. 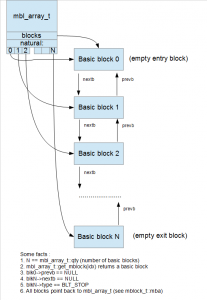 This technique is even open to Java developers through the JNI. Once the intermediate API and the client access library is written, creating utilities to integrate with IDA becomes a pretty quick process. Another example project that has come in handy is a Wingraph32 replacement that was coded in about a day. 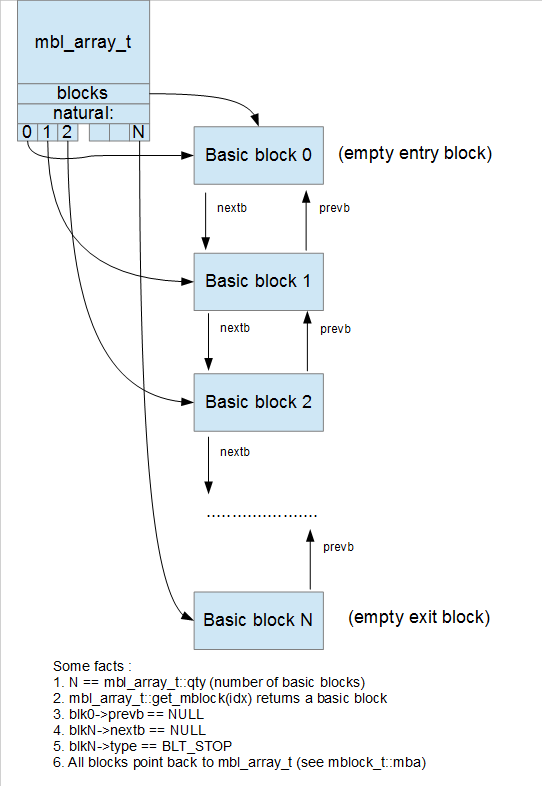 The interface shown below automatically syncs the IDA disassembly when graph nodes are clicked and can perform several renaming operations. There are some limitations to this technique as well. 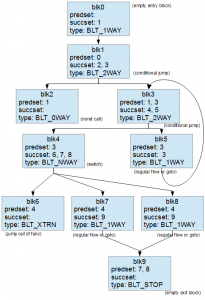 The particular implementation detailed in this article is Windows specific. It also requires both applications to be running on the same machine. Another consideration is that the data is crossing process boundaries which can be a performance hit depending on what is being transferred and how often it is being invoked. For example, extracting or patching large blocks of data would best be optimized by reserving the use of the SendMessage API as the command channel, and utilizing files or shared memory for the data transfer. This will likely be an optimization included in future revisions. The example IDASRVR project linked to below currently supports 36 API and uses a simple text based command protocol. Sample code is provided in C and C#. Client libraries are also available for C# and VB6 in the associated projects below. * You can create C# and VB6 in process plugins for IDA through COM. If you are interested in participating in the beta testing and you have an active x86 decompiler license, please send us a message. Thanks! As everyone knows, Google and some other companies were under a targeted attack a few days ago. A vulnerability in the Internet Explorer was used to penetrate the computers.